Discover the inner reaches of the Hawaiian Islands and Mexico’s Sea of Cortés with exclusive savings from America Safari Cruises. An American Safari yacht cruise is one of my all-time favorite travel experiences. I’m not alone. Each time my husband and I have sailed with them (4 voyages), a majority of our fellow passengers are repeat guests experiencing their third, fourth, tenth, ASC cruise. Now, thanks to an extended season in Mexico’s Sea of Cortez and inaugural Hawaiian Island sailing, you can experience the magic for less. Charter the 12-passenger Safari Spirit for a family getaway or group of friends by March 12, 2010 and save 25% off the full charter price. 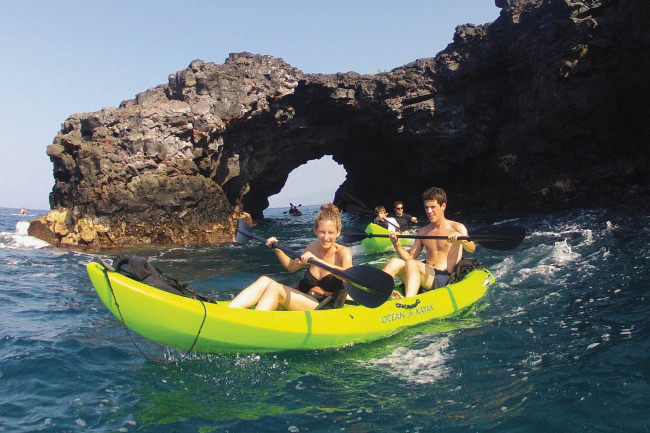 Or, sail aboard the 36-passenger Safari Explorer for the inaugural Hawaiian Island season beginning October 26, 2010 and save $500* per person. American Safari Cruises are designed for active adventurers who want to escape to unknown harbors without sacrificing comfort. Their exclusive itineraries remain “below the radar” because larger vessels simply can’t get you there. The world is certainly vast, but it’s best experienced in small doses — up-close and yacht personal. And unlike most cruise ships, the 36-guest Safari Explorer, 22-guest Safari Quest and 12-guest Safari Spirit cruise during daylight hours only, maximizing your opportunities to truly experience nature. An all inclusive Moorings Crewed Yacht vacation combines the best of cruising the islands on your private yacht with The Moorings 40 years of five star service. From now until December 15, 2009 you can enjoy the luxury of a Moorings Crewed Yacht from only $1,575* per person for an entire week of luxury. This includes all of your meals, beverages, water sports and of course the service of professional captain and chef. Choose from a range of destinations from Tortola, the Bahamas, Canouan, St. Lucia, Belize or Tahiti for these tremendous values. Receive these benefits when you book by September 30, 2009. There is even limited availability remaining for the Thanksgiving holiday period so call today to take advantage of this offer and plan your family reunion in the islands. *I’m a huge fan of The Moorings. To get a feel for a Moorings vacation you can read about my British Virgin Islands sailing adventure with them or view photos from the voyage. Better yet, if you’ve also sailed with them, please share your experiences using the ‘post a comment’ link below. Sampling the exceptional restaurants on St. Barts will be easier on the wallet in 2009. Wimco Villas is launching a dining card, available exclusively to its clients, that peels 10 percent off the cost of a meal at a growing list of island restaurants for guests booking a Wimco Villas vacation (villa or hotel) on St. Barts for travel anytime from Jan. 4, 2009 through Dec. 14, 2009. Restaurants range from the hip beachside Nikki Beach café to the classic Le Gaiac, the Relais & Chateaux centerpiece of Hotel Le Toiny; and from the traditional Wall House to the cutting edge cuisine of Tamarin.